Stand out in a crowd! 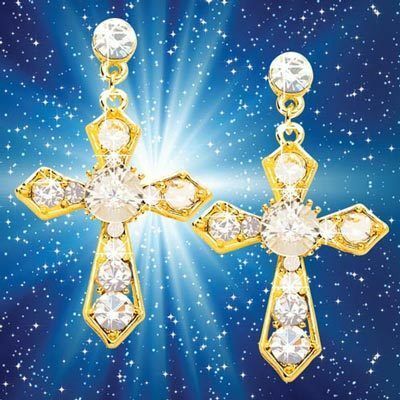 Get noticed in these lightweight, Dazzling Crystal Cross Earrings. Bright gold-tone metal surrounds 22 clear crystals in a variety of sizes, accented by a stud style crystal. Post backs. 2"l. Hurry! Quantities are limited!